TRL study reveals global warming is contributing to an increased threat of disruptive flooding on coastal roads around the UK. The project, funded by the Natural Environment Research Council (NERC), is part of the council’s Environmental Risks to Infrastructure Innovation Programme. Using a section of the A78 on the south-west coast of Scotland as an example, TRL, working with the University of Dundee and Transport Scotland, developed a methodology for assessing the risk to roads from coastal storms, taking into account climate change. 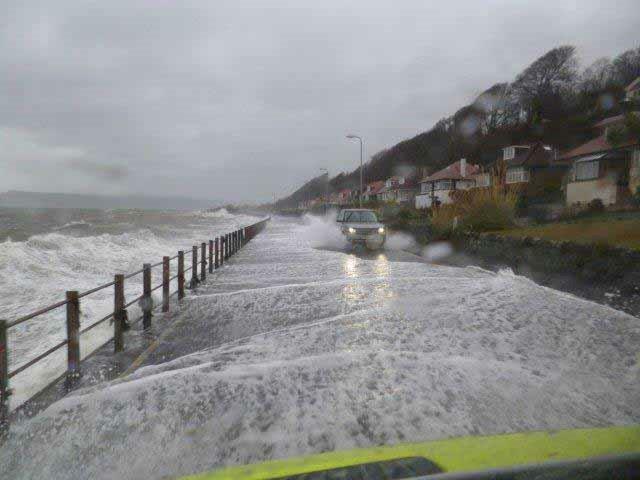 The project found that projected increases in sea level are likely to result in more frequent flooding of this section of the A78, as the severity of the storm required for overtopping is reduced. By 2100, it was estimated that the repair and delay costs related to coastal flooding would double; with greater delays for motorists and higher repair costs for Transport Scotland. The development of the risk assessment methodology provides a consistent method for evaluating potential threats and understanding the future impact of climate change. Ultimately, this will help those managing the strategic road network to make decisions on whether it is more cost-effective to take action to adapt to climate change impacts, or to deal reactively with flood events when they occur. Matt Sercombe, infrastructure director at TRL, commented: “This project is a fantastic example of the collaborative work we produce with both academia and industry stakeholders in order to create robust research with tangible outcomes.